Your teeth affect your whole body. When they’re healthy, you’re healthier too. A missing tooth can affect your bite, speech and eating choices. There are a few main reasons to replace missing teeth. 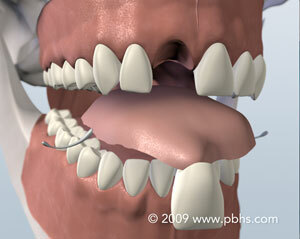 The fewer teeth remaining in the mouth the more forces they sustain which increases the risk of losing more teeth. Furthermore, the only reason we have jaw bones are to hold our teeth. If teeth are lost, the bone begins to decrease and deform which can cause other occlusal problems. Dental implants are more easily placed when teeth are first extracted because bone replacement becomes more complex as time passes. The great news? 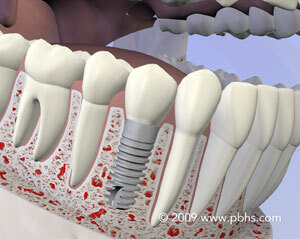 Implants are the single best way to replace a missing or hopeless tooth. They safeguard and preserve your bone structure, oral health and appearance. Dr. Lebowitz, Dr. Fialkoff & Dr. Sparks will provide you with options so that you can make the most informed decision concerning tooth replacement. You can select from a number of different options to replace your missing teeth. A good candidate is anyone missing one or more teeth, or who is unhappy with their dentures, and has a reasonable amount of bone. Certain conditions, smoking, diseases such as diabetes, and radiation therapy to the area, have been shown to lower the success rate of implant placement. X-rays of your jaw will be taken to evaluate whether they will accommodate implants. Detailed, 3-D cone beam radiographs, may also be taken to precisely measure the bone volume, density, thickness and important biologic structures. There are several reasons: Without a doubt dental implants are the best option to replace missing teeth. They preserve healthy bone structure, they keep teeth separate, they have a high success rate, and are the most long lasting option. 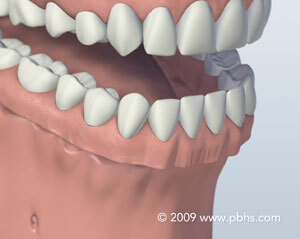 A dental bridge requires the removal of surrounding healthy tooth structure. 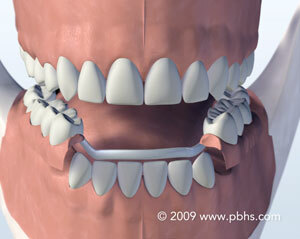 A removable partial denture places pressure and weakens the adjacent teeth increasing the risk of recurrent decay. 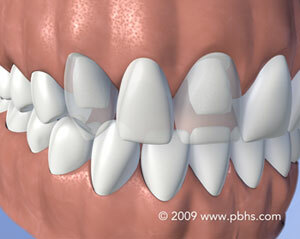 Additionally, removing partials at night is inconvenient, not to mention dentures can move around in public. The appearance of metal clasps and wires are unesthetic.